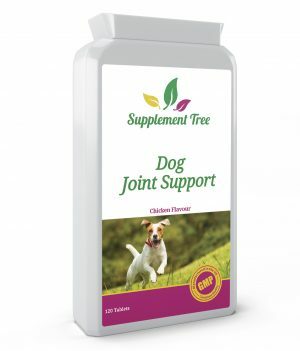 Your cat and dog can’t tell you when they’re feeling down, are unusually tired, have painful joints or are unwell due to a poor immune system. So when you spot the signs, cat and dog supplements are the perfect way to give your pet a boost naturally — without the use of drugs. 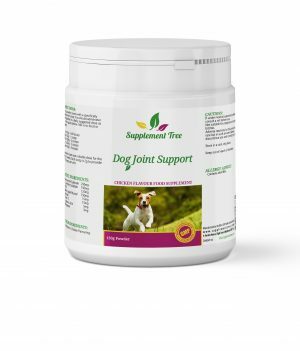 Help them to support and rebalance their bodies, regain energy levels and maintain good health into old age. 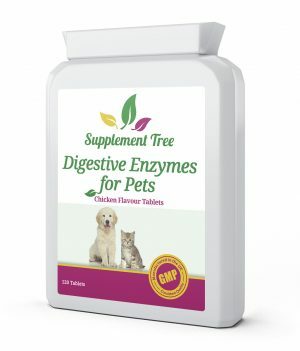 Whether your pet is struggling with digestion or has anxiety and hyperactivity, there are supplements for dogs or cats that can help. Just like us, dogs and cats need these vital omega oils in order to feel great and to maintain a healthy heart and brain. 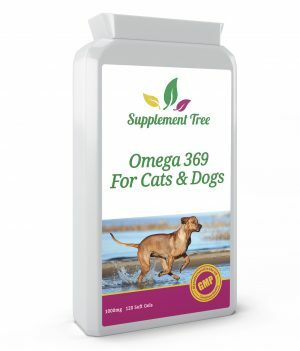 They’re especially important for younger cats and dogs as they grow, as omega 369 promotes the growth of the brain. Unlike us, however, pets also need omega oils in order to keep their coat strong, soft and shiny. It helps to both the fur and skin stay healthy. A lot of pet food doesn’t contain omega 369 because it’s more expensive than the standard ingredients and can be unstable in pet food form – especially in dry food. Many pets, therefore, don’t get the omega oils they need — those they would naturally obtain from fish and meat in the wild. Supplements are the perfect way to ensure your pet keeps their coat healthy and looking great. Having a hyperactive, anxious or stressed dog is difficult for both you and him. Not only does he demand a large amount of attention, but it can be hard to see him suffering and not have a solution to bring relief. While vets can recommend drugs, particularly if the problem is very serious, there are natural remedies that help to regulate and rebalance hormone levels in the brain. 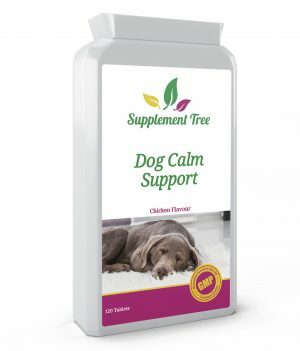 These support your dog, helping him feel safer, calmer and less anxious without the need for drugs. They include vital amino acids and compounds that are responsible for balancing chemical levels in the brain, similar to their function in humans. It leads to a healthier mind and mood, making life easier for your pet and for yourself. Probiotics are here to aid your dog’s digestive health, improve his ability to digest food and make him feel more comfortable after eating. Like humans, dogs need lots of friendly bacteria in their gut in order to process their food correctly. These friendly bacteria (probiotics) aid the reactions that occur in the digestive system and make your pet feel happier after eating. 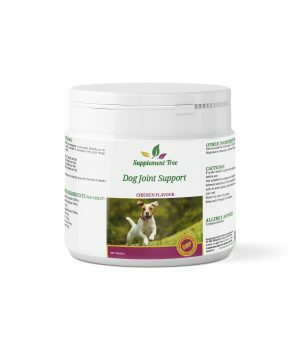 While most dogs can maintain the correct balance in their gut without the need for supplements, many others need a boost and support in order to feel comfortable. Just like people, dogs can get bloated too! 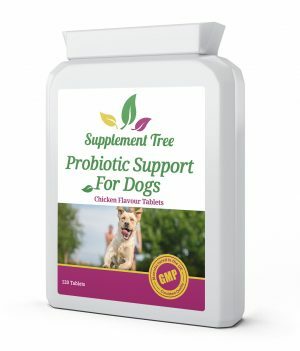 Our probiotics for dogs contain the perfect amount of friendly bacteria in order to boost your dog’s digestive health. The tablets are designed to be suitable for dogs of all sizes and contain high levels of probiotic bacteria to ensure the good stuff reaches where it needs to go. Simply weigh your dog in order to know how many tablets he needs to best support his system.